Did you know that the most powerful, practical and lasting way to help the St Vincent de Paul Society in Western Australia is to leave a gift in your Will? It ensures our programs that support people in need will continue well into the future. Please consider remembering the St Vincent de Paul Society in your Will. The Society is able to assist thousands of people because of the generosity of those who have remembered the Society in their Will. The reasons to donate are all around us. With your support, Vinnies can provide much-needed assistance to the people in our community that need it most. Together, we can do something about it. 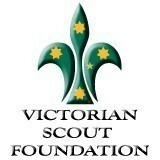 Visit www.vinnies.org.au/donate or call 13 18 12 to donate. If you’re looking for a career that is rewarding in every way, take a look at our job vacancies. The St Vincent de Paul Society provides exciting career opportunities for people who want to apply their professional skills in a job that gives back to the community. By volunteering, you can be sure you’re making a difference for people in need. For some Vinnies volunteers, this is a chance to give something back to the community, to use their skills and experience to make a difference in the lives of people who need assistance the most. For others, it is a chance to develop new skills and experience in a supportive environment.